Joe Ruffner has been producing, casting and managing productions for The Second City Touring & Theatricals since moving to Chicago in 2008. A graduate of Hiram College, he performed & directed for ten years before stage managing two revues for The Second City Cleveland and producing touring musical theater while living in Atlanta, Louisville and New Haven. He was the stage manager for three ETC revues, including The Absolute Best Friggin’ Time of Your Life and the Jeff-winning Studs Terkel’s Not Working. SC producing highlights include the Tina Fey-Jeff Richmond benefit Leave It to the Beavers at Lincoln Center, the Renee Fleming-Patrick Stewart Guide to Opera at the Lyric, and a Tim Robinson-Steve Yeun PatchCo in the ETC. 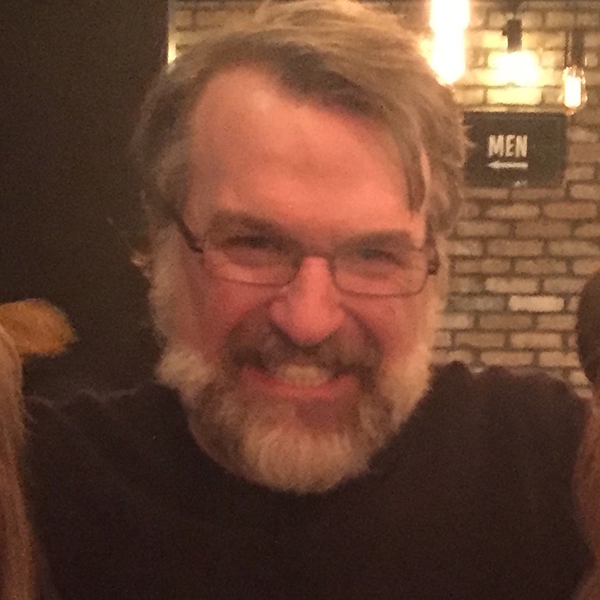 The first Second City show he saw was a 1994 RedCo Best Of starring Kate Flannery, and his favorite ensemble is comprised of three ladies, Jen, Bella & Sofia, two rabbits, and a dog named Cleo.